Whatever you do, don't give a gun to Robert Pattinson. The star of the Twilight franchise was given a firearm in his new action-drama The Rover and in this CraveOnline Exclusive interview explains that the armorer hated him for casually pulling the trigger all the time. That's not a good thing, but then again the world of The Rover isn't a very good one: it's after the economic collapse, and law and order are dissipating throughout the Australian landscape. When Robert Pattinson's brother (in the film) steals Guy Pearce's car, they set out to get it back and the results are bloody and stylish. 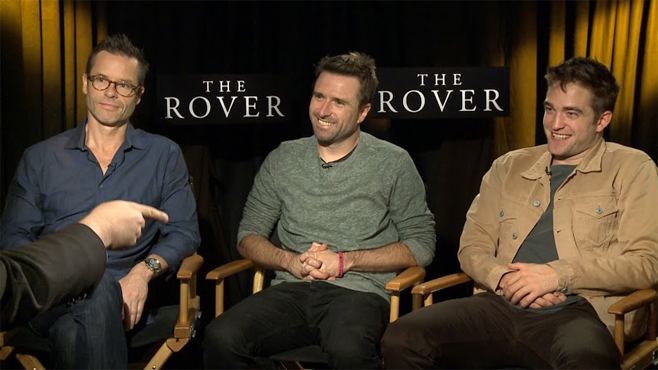 We talked to Robert Pattinson, Guy Pearce and director David Michôd about why the collapse of civilization always seems to hit Australia so hard, why the violence in The Rover is nothing to high five about, and why the filmmaker took a major about face after his first film, the Oscar-nominated Australian crime saga Animal Kingdom. The Rover is currently in select theaters and expands on June 20, 2014.